BUILT FOR THE ACTION SHOT: Your life’s an adventure, and there’s no better way to get all your most jaw-dropping moves on video than with XEagle. Designed to be the ULTIMATE SPORTS DRONE for even beginner pilots, XEagle’s pre-programmed flight algorithms let it automatically follow your every move – and capture your wild side from a bird’s-eye view. Plus, its aerodynamic design improves flight efficiency and reduces wind resistance. Can you say epic? IT’S YOUR PERSONAL PHOTOGRAPHER: Ready to hit the terrain? XEagle’s right behind you. With a following speed of 17m/s, maximum altitude of 5,000m, and flight time of 22 mins, it’s ready to plunge down the steepest slopes when you’re MOUNTAIN BIKING , SNOWBOARDING, or HIKING. It’ll follow you tearing up the skatepark on your skateboard, and capture you SURFING monster waves – XEagle’s precision is down to most minute details, allowing it to record your best moves in perfectly SMOOTH video. 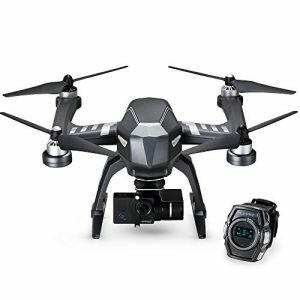 4K ULTRA HD SPORTS CAMERA: Other brands require you to purchase a camera and attach it to your drone. Not so with XEagle, which comes with a BUILT IN HD CAMERA. 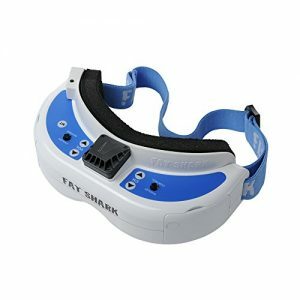 Gimbal Intelligent Tracking technology calculates your relative position and adjusts for the best angle between you and XEagle, keeping you always in the center frame. 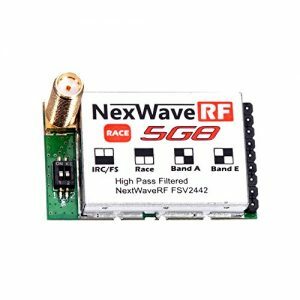 Reliable, interference free 2.4GHz AFHDS2A signal operation. Use only 4*AA batteries for transmitter. 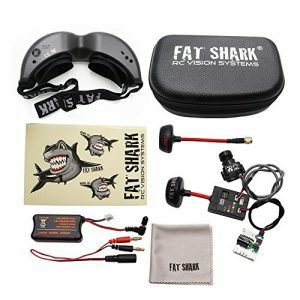 【5.8G FPV REAL TIME TRANSMISSION】 with stable signal and far transmission distance, you will enjoy the world above the horizon by using 5.8G. 【2.0MP HD CAMERA】 Allows recording higher quality video or taking clearer images. Capture your friends and family from aerial view shots and see the world from a new angle. 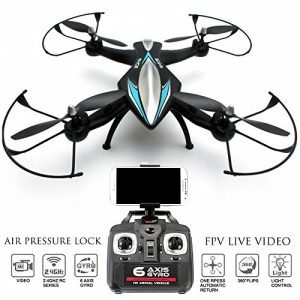 【3D FLIPS】 This drone can perform the 360 degree flips roll with one key,it is very easy to use even for the beginner.360 degree eversion function for you to have a cool flying play. METALLIC COATING AND ANTI SCRATCH: The F2 Black Aviax is GPTOYS’ special edition model of its successor – GPTOYS F2 Aviax. The F2 Black Aviax is made with ABS material, has awesome metallic paint coating and is also anti-scratch. SPECIAL LUXURY BOX: The F2 Black Aviax comes in an exclusively special edition box from GPTOYS. 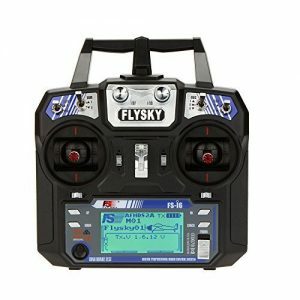 It can easily be opened and closed, extremely durable, specially designed to carry your F2 Black Aviax before and after your flight – this is not a one time use box! It’s also made with high quality materials and perfect for gifting. STABLE and ONE BUTTON FLIP ACTION: Built with Φ8 820 engine and 650mAh battery for exceptional stability, resistance to wind, and acceleration. Single button click to trigger a 360° flip action, showcase your moves – no experience necessary. 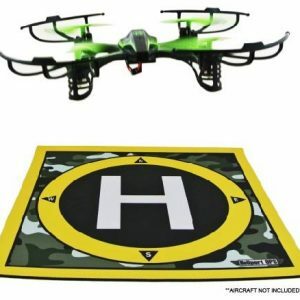 Heliport Ops Landing Pad and Launch Pad for Remote Control Helicopters, Quadcopters, Mini, Micro, Nano Racing Drones, RC Aircraft with Camera, Helipad. Aircraft Not included. 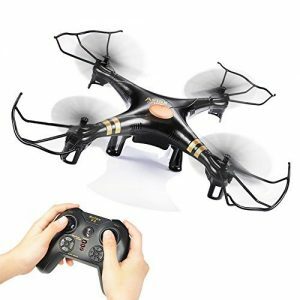 LANDING PAD: For your R/C Helicopter, Quadcopter, Drones with camera. Aircraft not included. 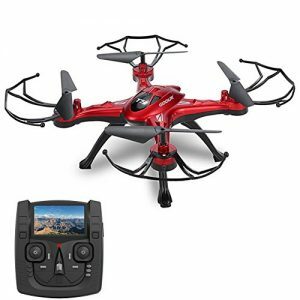 PROTECT: Quadcopter, Drones and Helicopters from costly damage from debris, updrafts & hard landings.